Aaahh St Patricks Day… when the beer is cold and green and hopefully the beef is neither cold nor green. 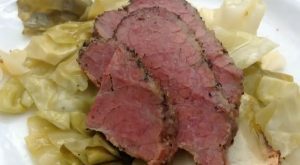 This week on the GrateTV BBQ and Grill show we fired up Smokey O’Malley’s and thought you might want to add a little Irish flair to your potato popper on the grill! Take a look HERE (or below). We continue to look at Carb loaded BBQ this month for #STARCHMADNESS month and a bacon wrapped potato popper worked nicely in the series. 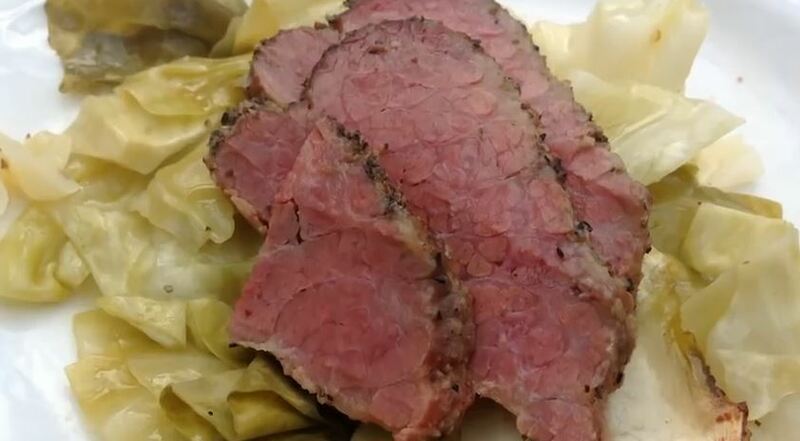 And make sure you add in some smokey Corned Beef and Cabbage to your weekend menu. If you need the recipe – Watch it HERE (or also below). So you’ve got your heater on and your windows draft proofed. But there may be something you’re forgetting that also needs special preparation in the winter time. Your grill will last much longer if you take these steps in winterizing your grill. Start by thoroughly cleaning your grill. It’s a dirty job but getting all of that that grease and grime off now will be easier than cleaning it off when you go to use in the summer. Start up your grill and let it run on high for about 15-20 minutes, this will burn off any food that may have accumulated. Turn it off and let it cool, then use a good degreaser and really scrub it. Clean the grates the same way. By letting them heat up it’s loosened a lot of that grease and will now be much easier to clean. Clean the outside of the grill with a wet cloth. Clean the carbon that has built up on the inside of the lid as well. Do not use a scouring pad on the outside, this will damage the paint and thin the metal. If you are going to use an abrasive cleaner, test it on a small spot first and see how the surface reacts. Take this opportunity to make any small repairs your grill may need. Replace any lines or washers that appear worn. Clean the lines and your propane tank as well. Find anything that needs to be replaced now, and order it. By the time you’re getting the grill ready during the summer you will have all the parts at hand. Take a plastic bag and wrap your grill’s burners. This will prevent any moisture from settling on the element causing them to rust. Coating the burners and interior metal parts with cooking oil will also prevent moisture from building. The plastic bag will also prevent any insects or small animals from turning your grill into their winter home. Store your BBQ for the winter. If it is moveable put your grill in the garage or shed. If not buy a good grill cover that will keep dirt, rain and snow from accumulating on it. If you already have a grill cover, check it beforehand. Make sure there are no rips or tears in the cover that can leave the grill susceptible to the elements. Spending $30 on a new grill cover now is better than spending $300 on a new grill in the summer. Taking these steps to winterize your grill will ensure that come summertime your grill is in condition to fire up and start grilling. Make Your Super Bowl Party a Real Blast! When the whole crew shows up and gets ready to chow down, they most likely don’t want a five-course dinner. Break out the munchies and the appetizers. Any types of dip will do. My favorite to make is buffalo chicken dip! I use the recipe from Frank’s RedHot. Personal Touch: For my birthday last year, my husband bought me a wooden tray and dip set from RedEnvelope’s Hostess Gifts page. We use it every time we entertain! Spice things up with a main course in addition to your assortment of snacks. A deep fried turkey is always our guests’ favorite. My husband loves to man the deep fryer station. It also gives the guys a chance to shoot the breeze while they keep tabs on the bird’s progress. Try a New Drink Recipe! You might feel pressured to empty out the liquor store for your big event, but there’s no need to spend a fortune. Something simple we like to make is a “Beer Mojito” You can offer a new take on cocktails with the beer mojito. It’s beer with a twist. See the recipe at CookingTV.com! If you’re like me, you pay extra attention to the commercials. A fun game we like to play is picking your favorite commercial after the game – put each entry into a hat and pick the winner. Whoever gets chosen – wins a prize! Stock up on napkins, paper plates, plastic cups, and disposable cutlery, this makes the cleanup less stressful and a lot shorter! Send leftovers home with everyone to make it easier on your refrigerator and stomach. 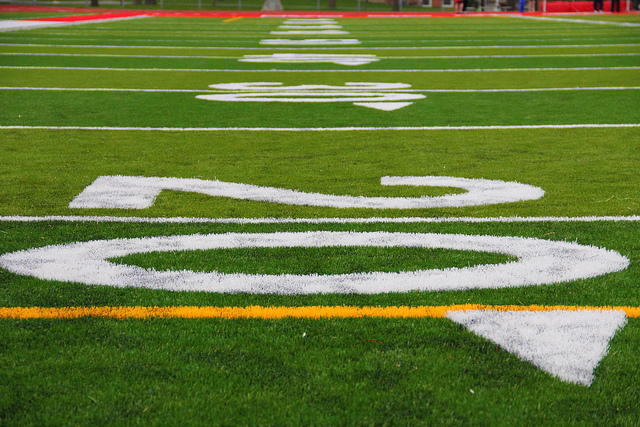 A Super Bowl party might seem like a big challenge. Take a deep breath, get organized, and you can roll with it. I hope these tips help out! Good luck! Looking for the world’s 10 best BBQ festivals and events? Here are some great festivals you can attend for some amazing BBQ dishes. The Memphis in May International Festival has been held since 1977 and you’ll find some great BBQ at this event. This event celebrates international and southern cultures. 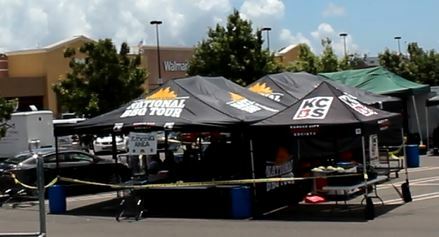 There’s also the World Championship Barbecue Cooking Contest where teams compete for bragging rights and the title. There’s a large party that goes on while the contest takes place. This is a great festival to take part in and there’s a lot to do. This party has contestants from around the country take to the streets around Madison Square Park to create top notch BBQ for the people of New York City. You’ll find all types of barbecue here such as pig form St. Louis or mutton from Kentucky, there’s something at this festival for everyone. This is one of the best BBQ festivals you can go to in the country. If you love BBQ then you need to go to New York City to take in this festival. Each year you’ll find something a bit different at the party to take in and discover. You’ll also meet a lot of interesting people at this party and form new friendships too. This festival was created to help raise money for local charities. There’s a lot of fierce competition at this festival and great food too. Local teams work to win the Governor’s Cup for the best cooking team. People at the festival can sample the food created by these teams and there’s even a Backyard Cook-Off competition for regular people to show off their BBQ skills. There’s also a lot of other entertainment here such as life performances and carnival rides for the kids as well as face painting and other fun things to do. You can work off all the good food at the 5K walk or run. At Galax Virginia you can take in the Smoke on the Mountain BBQ Championship. This is a two day event with a whole hog, pork shoulder, and pork rib competition. This is straight BBQ without the use of any marinades or other sauces prior to the inspection of the meat. Sauces can be used once the meat is inspected. The festival also has booths and vendors as well as various other things to do. At Lake Placid, New York you can take in the I Love Barbecue Festival. Teams compete in steak, sausage, Chicken, and Pizza categories as well as ribs. The public determines the winner of this competition and there’s a lot of live musical performances at this festival too. The Tennessee Funfest is one of the area’s largest BBQ festivals and it send proceeds to the Alzheimer’s Association of the Mid-South. There’s a Tennessee State Championship Barbecue Cooking Contest with seafood, beef, and whole hog competitions. You’ll find other non-BBQ competitions too. Other things to do include carnival rides, music and more. This Kansas City BBQ competition offers over $20,000 in prizes and cash. There’s crafts, arts, live music, and great food at this competition. Other things to do include a volleyball tournament and a bean bag toss competition. At the National Capital Barbecue Battle in Washington, DC, there’s a great BBQ event that you’ll want to go to. This takes place along the historic Pennsylvania Avenue. There’s a competition with over $400, 000 in prizes given out. Other things include merchandise stands, and musical performances. In Kennesaw, Georgia you can take part in this awesome BBQ festival. This festival combines BBQ with fresh peaches. There are contests for amateur as well as the Georgia State Championship for professionals. There’s also the each dessert for the bakers. The kids can enjoy a playa area and there’s various booths and exhibits at the event. Thanks to RetailMeNot.com for this fun infographic. Are you in the mood for trying something different on your grill? Want something that is fun to cook, delicious to eat and that will impress you, your family and your friends? Well then, do we have something for you. Don’t look now, but straight from the islands it’s Huli Huli Chicken coming your way! 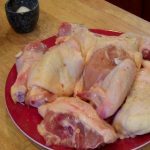 “Huli” is the Hawaiian word for “turn.” Ernest Morgado “invented” Huli Huli chicken in 1955 when barbecuing a batch of chicken for some farmers using his mother’s marinade recipe. It became such a hit that he registered the trademark with the Territory of Hawaii in 1958 and with the US Government in 1965. Morgado cooked the chicken between two grills and when one side was done someone would shout “Huli” and the grills would be flipped over. The dish has become legend in Hawaii where it is often sold at charity fundraisers. It has also launched many commercial sauce brands and has even inspired a song called Huli Huli Chicken by the group The Barefoot Natives. 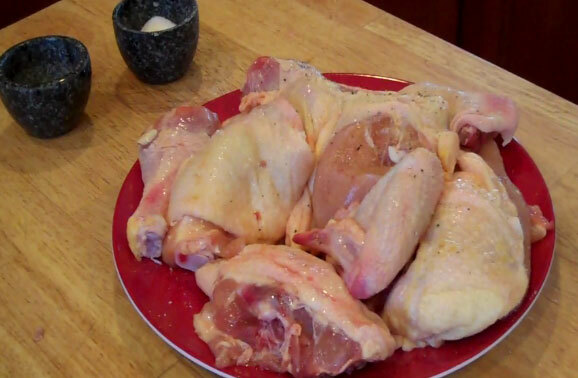 Mix up the ingredients and use about half to marinate the chicken for at least an hour. Reserve the remainder to baste the chicken when it is on the grill. Meanwhile, soak the mesquite chips in water for about 20 minutes. Heat your barbecue to the 300 to 350 degree range, apply your pre-soaked mesquite chips and proceed to turn and baste the chicken every 5 minutes until it is done – about one hour. Oh, and don’t forget to shout “huli huli” when you turn the chicken! Once you taste Huli Huli Chicken, you will understand what the fuss is about. The chicken is tender, succulent and flavorful without being overpowering. When we have it, the chicken is eaten clean down to the bone. It really is that good! It also lends itself well to entertaining – for example you can use it as a centerpiece for your own Luau. Don’t feel like entertaining? Then use it to give yourself or your family a night of fantasy and fun. Dial up some Don Ho on your iPod, put on that DVD of Elvis in Blue Hawaii, mix up a Mai Tai or other such suitable libation and voila, you have a made-to-order Hawaiian vacation without the expense or hassle of the travel! Are you tired of guessing the best ways to prepare the grill and the meat? Have you eaten enough over-cooked, dry steak? Have you wondered how restaurants produce those steaks with the picture perfect grilling pattern? If you answered ‘yes’ to any of those questions, then you will appreciate these simple tips. Here are some answers to common questions about grilling steaks. What temperature? Before you get started, determine how everyone likes their steak cooked. Use the highest heat for rare or medium-rare, and medium heat for medium or well-done. This sounds counterintuitive, but the rarer steaks need to cook fast at a high heat in order to sear the outside and keep the inside rare. The more well-done steaks should cook slowly on a medium heat in order to avoid burning the outside and drying out the inside. How to prepare the grill? Oil the grill by brushing a thin layer of oil on the grates. You can also rub the steak fat onto the grate using tongs. How to prepare the meat? While the grill is heating, remove the steaks from the refrigerator and let them come to room temperature before placing on the grill. Rinse and trim the fat. How to treat the meat? Keep the steaks moist and tender by coating with a thin layer of cooking oil and the seasoning of your choice. A little salt and as much pepper as you like are good default seasonings. You can also try garlic powder, or a dash of cayenne pepper. When to flip the steak? Look for signs that the steak is starting to bleed through. You’ll see small red spots, which will tell you it’s time to flip the steak over. Although you only need to flip it once, flipping it multiple times will create a nice criss-cross pattern. Grill each steak for one minute. Turn on the grill on the other side for one minute. Then, turn and replace at a 45-degree angle for half of the remaining cooking time. Turn once more at a different 45-degree angle for the final minutes on the grill. When is the meat done? We all know the cut and look method to determine of the meat is done. This isn’t ideal, because if it’s too late, then you’ve overcooked the steak. If it’s too soon, then you run the risk of drying out the meat. This is the perfect time to use a meat thermometer, ideally a meat fork. When is the meat ready to eat? The steak continues to cook for abut 5minutes after you remove it from the grill. Keep this in mind when determining the optimal temperature for your preferred ‘doneness’. Let the steaks rest for 5 minutes before eating. Few things say summer like the sizzle and aroma of a steak cooking on your gas grill. Grilling the perfect steak may be easier than you realize. And if you follow these easy tips, you’ll be sure to dazzle your guests and family. Just remember that with a little preparation, some patience, and the right tools, grilling the perfect steak to please everyone is easy. Follow these tips, and you can just sit back and relax. Let your grill do the work for you. Andre’ Savoie writes for BBQGrillCompany.com who offers high quality Lynx BBQ grills brands. We also offer articles that will teach you how to best use your grill including steak grilling tips. The great thing about the Big Green Egg Grill is the diversity of cooking choices that you have available to you, including the option of smoking foods, grilling, as well as outdoor baking. The Green Egg Grill is a well designed barbecue that’s easy to set up and very simple to use. It is available in a number of different sizes, depending on the amount of cooking that you need to do. It comes in a mini version, what they call an original version, large, and extra large. Obviously the more food that you tend to cook with each barbecue, or the more guests that you entertain, then the more cooking space you need. This will usually lead you to one of the larger models. If you’re in doubt give the company a call since their customer service is excellent. 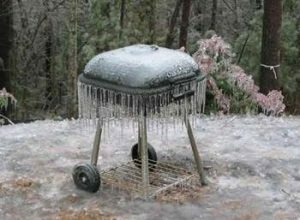 This grill is very functional in all types of weather. So even if you live in northern climates you can obtain great cooking results even in the middle of winter when it’s snowing and cold. The key is the unique shape and construction of the BBQ which uses ceramic for the walls. The ceramic material can withstand very cold temperatures, and it also allows the grill to heat up to as much as 1800°F. Of course when you’re outside cooking in the middle of a snowstorm your next door neighbor may think that you’re a bit odd, but they won’t think so the next time you invite them over to try some of your barbecued food. The construction of the Green Egg Grill allows it to maintain a consistent temperature for a long time even though you are using traditional charcoal. For example, if you want to slow cook ribs or other meets at a very low temperature, say 250°F for several hours you don’t have to worry about temperature variations nearly as much as you would with a normal BBQ. This barbecue is very versatile and allows you to slow cook your food, but it’s also great for smoking meats and grilling different types of vegetables and fish. You can also use this grill to simulate a brick oven to cook pizzas with exceptionally flavorful. Everyone’s heard about the famous fire cooked pizzas in New York, and this grill can simulate those conditions with the extreme heating and brick ceramic walls. As well, there are a number of accessories that are made specifically for this grill, including a walk gadget that allows you to stir fry rice or vegetables very easily. Another accessory that many people will find useful is the handy fish great. Grilling fish has always been a difficult thing for many people to master, because it is very easy to overcook fish and lose all of the flavor and enjoyment. With this barbecue even the most novice chef should be able to create tender fish dishes with the slow consistent cooking. This is a long-lasting product, and your investment should last for many years. Conventional barbecues cannot come close to some of the flavors that are achievable with the Green Egg Grill. 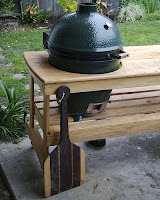 Learn about the advantages and disadvantages of the Green Egg Grill for smoking and barbequing. The information packed Big Green Egg Grill website will teach you everything you need to know about selecting your next BBQ.